WWE has confirmed that Dean Ambrose won't be renewing his contract when it expires in April. The company issued a statement today: "Dean Ambrose (Jonathan Good) will not be renewing his contract with WWE when it expires in April. We are grateful and appreciative of all that Dean has given to WWE and our fans. We wish him well and hope that one day Dean will return to WWE." WWE.com also posted an article with the statement. Pro Wrestling Torch had reported that Ambrose gave WWE notice that he would be finishing up with the company when his contract expires. The report stated that Ambrose told WWE management the news over the weekend after being offered a new contract with a raise weeks ago. PWTorch wrote about why Ambrose isn't renewing his deal: "Sources tell PWTorch that Ambrose has been long frustrated with the creative direction of his character and reached a breaking point recently. He’s indicated to WWE management this weekend he’s not interested in negotiating further and made it clear this isn’t about trying to get more money." Ambrose took part in the opening segment of last night's Raw and lost a match to Seth Rollins on the show. 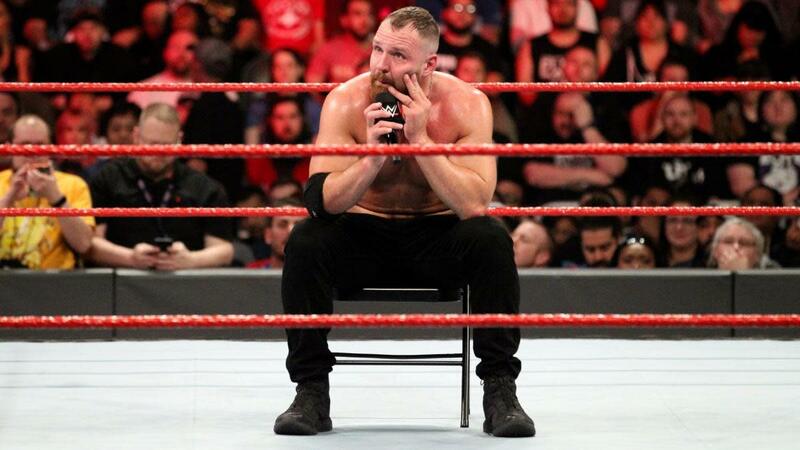 After the match, there was an angle where Ambrose sat in a chair in the ring and was going to speak on the microphone. Nia Jax and Tamina came out for the next match, Jax went face-to-face with Ambrose, and Jax struck Ambrose and sent him out of the ring when he turned away from her.